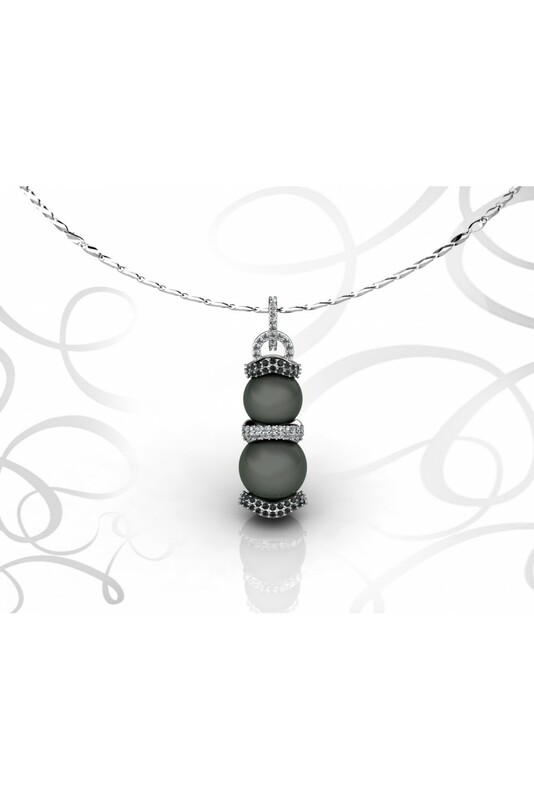 A fresh and modern new look, this double pearl Tahitian pendant is made of 15g of 18k white gold. The black brilliant of 60ct and 0.53ct white brilliant gives class and sophistication to the pendant. Stone quality is HVS.